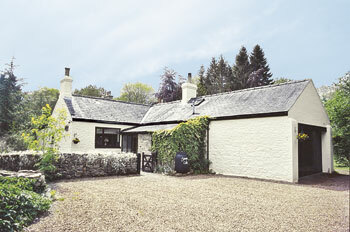 Jasmine Cottage is a lovely five bedroom character cottage, located in Slaggyford, near Alston in Cumbria. It is styllishly decorated and retains many original features such as beamed ceilings. 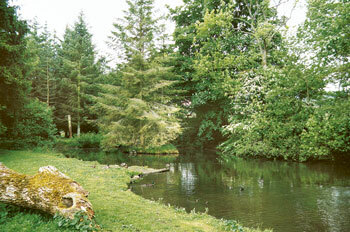 The house enjoys magnificent views overlooking a small lake and river. The cottage featuress its own fully enclosed garden and visitors enjoy shared use of 2 acres of grounds with fishing for trout and salmon available on site. Equidistant from Penrith, Carlisle and Hexham (all 25 miles), Jasmine Cottage is ideally situated for exploring the many attractions of this beautiful part of the country. The local area is full of historic interest – Hadrian's Wall, lead mines, museums and a steam railway are all within easy reach. Excellent walking can be enjoyed locally and Alston (4 miles) offers horse riding and cycle hire. Golf can be found at Brampton (12 miles) and Carlisle, and there is an outdoor heated swimming pool at Haltwhistle (8 miles). Alston offers a choice of restaurants and shops. Village pub serving food in Slaggyford (1 mile). Beamed throughout and very comfortably furnished. Entrance porch leading to fully fitted modern kitchen with dining area. Sitting room with gas fire. Two double bedrooms. Bathroom/W.C. Single bedroom. Shower room/W.C. First floor (low ceilings): Twin bedded room and single bedroom both with sloping ceilings. Children's TV room.